Originally from Tucson, Arizona, Arthur Vint began studying music seriously at the age of twelve and by the time he was fifteen was already performing professionally. He maintains a busy performing and recording schedule in New York City where he is an in-demand session drummer lending his talents to bands such as The Candy Shop Boys, North of Amarillo, Tijuana ’66, The Poison Orchard, The Brain Cloud, Melaena Cadiz and his own band, Arthur Vint & Associates, among many others. As a professional musician in NYC, I need to be extremely versatile to keep up with all the projects I'm involved in; on any given night I can be found playing modern jazz, swing, dixieland, latin, country, pop or rock - and I can do it all with my Canopus RFM drum kit! RFM series drums are very versatile and have a wide tuning range that sound great in any of the aforementioned genres, live or in the studio. 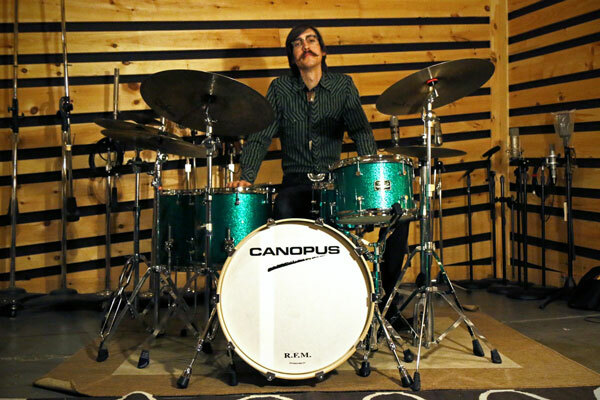 I'm proud to be a member of the Canopus drum family!